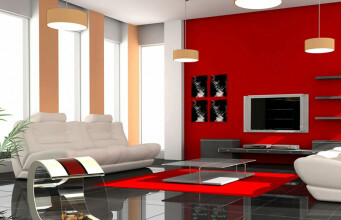 Interiors in classic white colour joined with black and grey become more and more popular. 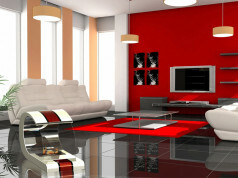 These colours look excellent on marble surfaces, filling an interior with elegance. Due to the fact, that marble is a little bit “cold” material, it is worth to warm up the atmosphere inside, putting live fire. 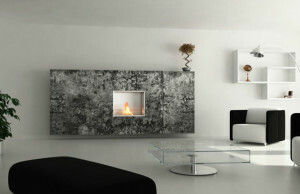 Company Antolini Italy gives us such opportunity – it has created marble bioethanol fireplace and put it in SIR/A Edition series. This monumental, however not bothersome model will bring a bit of ancient atmosphere and due to it we will feel like on Olympos in Greek gods times. 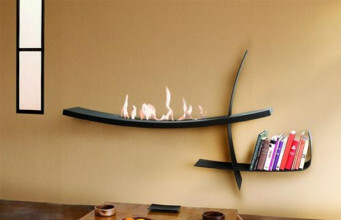 Fireplace is intended to be permanently mounted. 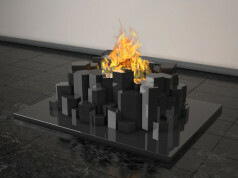 Burner is surrounded by small, built-in basis little stones, imitating warmed up gravel. 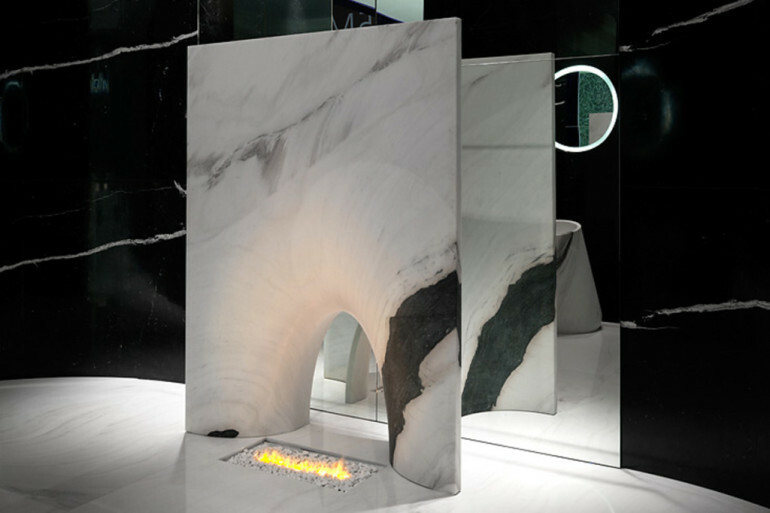 It is located near the marble stone, which is a sophisticated, but at the same time minimalistic decoration. 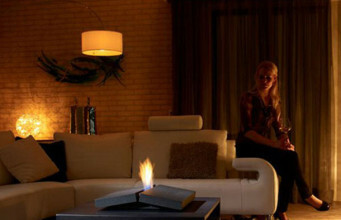 Bioethanol fireplaces could be placed near the mirrored wall. 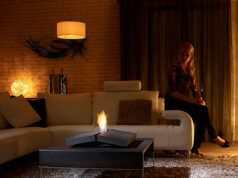 It gives and incredible effect of a bigger space, but also double flame providing more light. 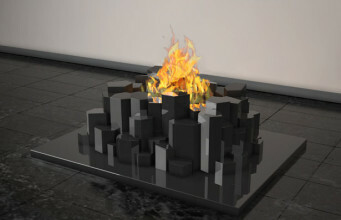 The fire is visible due to a tunnel of a biofireplace in its lower part. 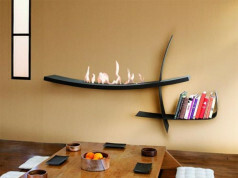 Due to big sizes and form – is best to mount this model in large rooms. This way, it will be better highlighted.